Proud moment for Make in India, Finally Apple will start iPhone manufacturing in India. Soon after Tesla announced that they will start manufacturing in India, this is the second best thing happening for manufacturing sector of India. Foxconn is about to start the trial run for the production of latest iPhoneX in India as Apple seeks to revive its fortunes in the country. Apple Mobile phone manufacturer Foxconn is set to start its production of the iPhone X in India this July, according to the media reports production will take place at Foxconn’s Chennai plant in eastern part of India. According to market reports in 2018 there were lots of news flowing about Foxconn’s plans to produce high-end iPhones in India. According to a Reuters report, Foxconn invested $356 million to expand an existing plant and take on the new iPhone production, creating as many as 25,000 jobs in the manufacturing process. Empower and assist in developing new manufacturers is what you should be doing at this stage. Call it philanthropy, call it wealth redistribution, call it creating jobs etc. New people assembling your products will only benefit apple. Unless apple looks at an alternative manufacturing company for its products, it will lose its hold on the product itself. All eggs in one basket ? Not a good idea Mr Ceo Tim Cook. Just having another facility under the same manufacturers is not enough. Foxconn has been considering expanding its production plants in India as a way to diversify its logistics and supply chain away from China, where most of the Taiwan-based firm’s facilities currently are located. Apple manufactures most of its iPhones through Foxconn. In the past Apple has associated with Wistron to produce iPhones in India, including the iPhone SE and iPhone 6s. 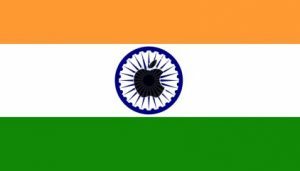 When building iPhones in India, Apple is able to avoid import duties placed on imported smartphones and their components. More production in the country also helps Apple meet India’s 30 percent local sourcing requirement that would allow Apple to open its own local retail stores.